Having played the 4 key Sonic games from the Genesis era recently thanks to the Ultimate Genesis Collection I have come to a realization. These platformers are very different than every other platformer ever made before and after it. There are other platformers on the collection as well and using them as a bench mark I notice a sharp difference not only in the game, but also in my mindset in playing. The original Sonic games to me are Sonic 1, 2, 3 and Sonic and Knuckles. These four stuck with the basic premise that made the series great. They all have the same basic mechanics. Speed and a sense of momentum is key to these games. Much of the level design is based around moving fast and the rings are there as a safety net in case you run it to something. Several of the jumps require a good deal of speed for the distance. You get the instinct to constantly press forward on the d-pad. This is fine for the Sonic games, but it leads to instant death in other platformers. There are even moment in the Sonic games that go against its own mentality of speed and momentum. Sections where you have to stand still and wait for some elevator to move or a platform system to come and pick you up. If you go get too impatient you find yourself running into spikes or getting crushed to death. 2 Responses to "How Sonic Ruined Other Platformers for Me"
I loved those sonic games, but I believe that the Collections are the best way to play them. In their original form, the end boss battles were just too frustrating for me to complete once I lost my 1 star. The many Collections have save-states, so I could actually finish a game for once. 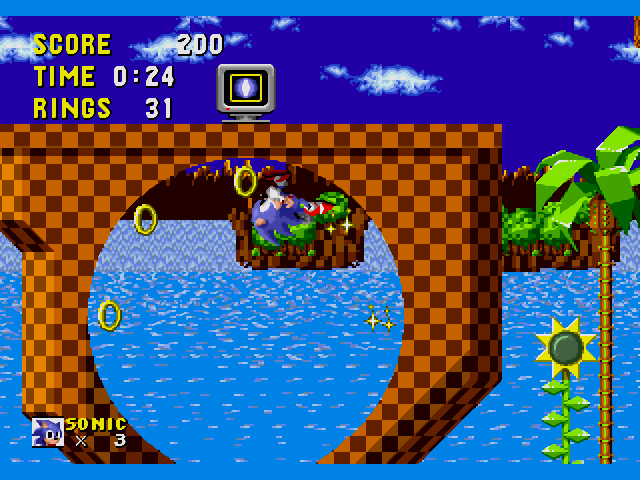 With Sonic & Knuckles, I wanted to mention, was a newfound ability to use the to explore the levels. Since Knuckles can climb and glide, he can reach areas that Sonic couldn’t – or even Tails in some cases. I found that much more enjoyable then blazing through a level and not really getting to see much of it. Because some of those levels were actually quite beautiful. Why no love for the “magnum opus” that is Sonic CD?